Almost two weeks ago, Amazon announced that it would start directly offering products made by Apple including the iPhone, iPad Pro and the Apple Watch. Apple Insider reveals that Amazon is now offering the new 11-inch or 12.9-inch iPad Pro (2018) tablets. Gone is the home button along with Touch ID, and added is Face ID, which will work in all orientations. 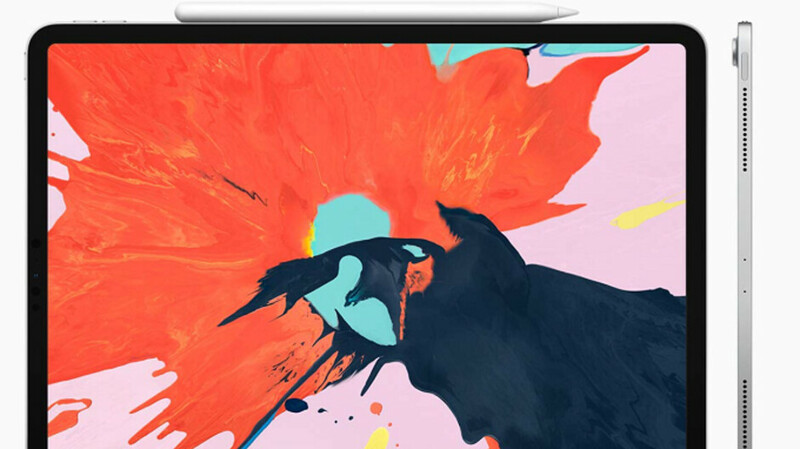 Bezels are thinner, and the new Apple Pencil 2 magnetically sticks to the new tablets and charges wirelessly. The Lightning jack is replaced by a USB-Type C port. 11-inch Apple iPad Pro Wi-Fi only 64GB, Silver or Space Gray-$799. 11-inch Apple iPad Pro Wi-Fi + Cellular 64GB, Silver or Space Gray-$949. 11inch Apple iPad Pro Wi-Fi only 256GB, Silver or Space Gray-$949. 11-inch Apple iPad Pro Wi-Fi + Cellular 256GB, Silver or Space Gray-$1,099. 11-inch Apple iPad Pro Wi-Fi only 512GB, Silver or Space Gray-$1,149. 11-inch Apple iPad Pro Wi-Fi + Cellular 512GB, Silver or Space Gray-$1,299. 12.9-inch Apple iPad Pro Wi-Fi only 64GB, Silver or Space Gray-$999. 12.9-inch Apple iPad Pro Wi-Fi + Cellular 64GB, Silver or Space Gray-$1,149. 12.9-inch Apple iPad Pro Wi-Fi only 256GB, Silver or Space Gray-$1,149. 12.9-inch Apple iPad Pro Wi-Fi + Cellular 256GB, Silver or Space Gray-$1,299. 12.9-inch Apple iPad Pro Wi-Fi only 512GB, Silver or Space Gray-$1,349. 12.9-inch Apple iPad Pro Wi-Fi + Cellular 512GB, Silver or Space Gray-$1,499. 12.9-inch Apple iPad Pro (2017) Wi-Fi Only, 64GB Silver, Refurbished-$667.41 ($131 off). 12.9-inch Apple iPad Pro (2017) Wi-Fi + Cellular 64GB Gold, Refurbished-$678.89 ($120 off). 12.9-inch Apple iPad Pro (2017) Wi-Fi + Cellular 64GB Silver, Refurbished- $699.99 ($230 off). 12.9-inch Apple iPad Pro (2017) Wi-Fi + Cellular 64GB Gold, Refurbished-$648.99 ($280 off). 12.9-inch Apple iPad Pro (2017) Wi-Fi Only 512GB Space Gray, Refurbished-$878.99 ($270 off). 12.9-inch Apple iPad Pro (2017) Wi-Fi + Cellular 512GB Space Gray, Refurbished-$899.00 ($380 off). 12.9-inch Apple iPad Pro (2017) Wi-Fi + Cellular 512GB Gold, Refurbished-$939.00 ($340 off). Amazon says that these previously owned units look and work like new. A full diagnostic test has been run on each tablet with defective parts replaced, and the product thoroughly cleaned. There is a 90 day supplier-backed warranty.